Hello and welcome to another edition of the WCU PodCats Podcast! 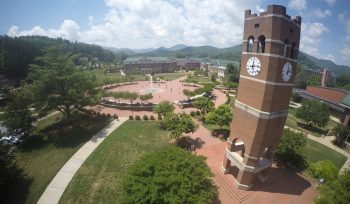 It is graduation week in Cullowhee as we prepare for 3 ceremonies between Friday and Saturday. Brittany Thompson joins Josh and Patrick this week as they discuss the Top 5 Tips for Attending a WCU Graduation; the tips apply to the students walking across the stage, visiting family and friends, and even local folks who aren’t planning to attend. Remember to like us on Facebook, follow us on Twitter, and download the show on iTunes or iTunesU.